I don't know how it's happened, but yet another tree peony from Solaris Farms has stolen my heart! Last year it was 2017 In Love with Tree Peony 'Angel Emily'. This year it's Tree Peony 'Fuchsia Ruffles'. 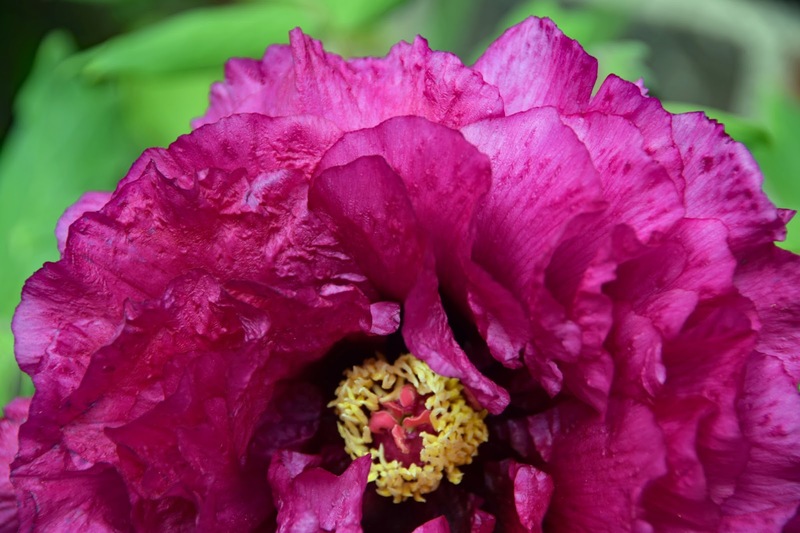 Purple is most definitely my favorite color, and this tree peony has quite a bit of purple. It is a lovely, deep shade of fuchsia, a dark pinky-purple. 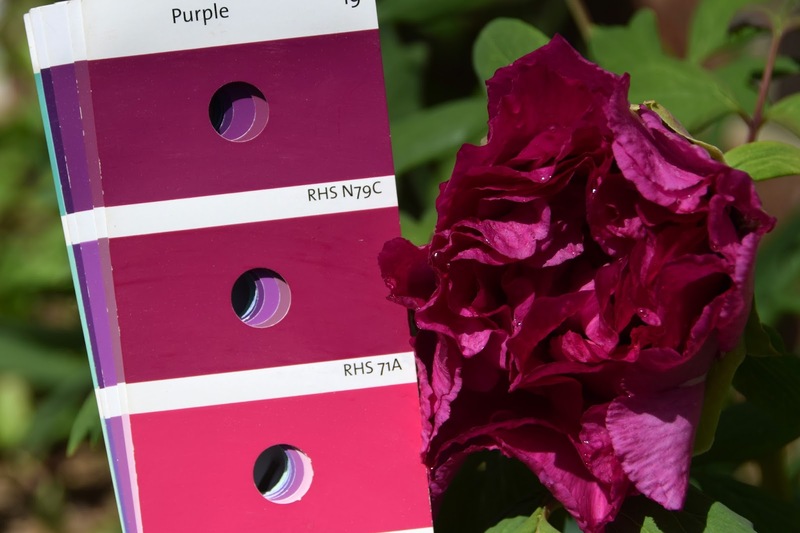 It appears to be RHS Purple 71A on the RHS Color Chart. Let's just say this flower is aptly named, with loads of deep fuchsia petals, all with a ruffled, frilly edge. 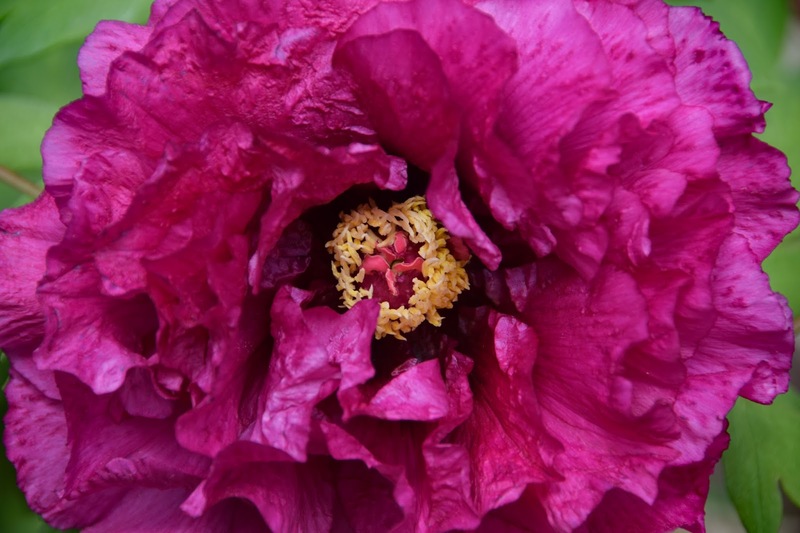 I think Solaris Farms is trying to make all of the die-hard herbaceous peony fans into tree peony fans, and they're doing a fantastic job of it! For years I tried to grow tree peonies, but was unsucessful - and growing tree peonies shouldn't be that hard to do here. It was likely low quality bare root tree peonies (from less reputable sellers) and maybe a bit of inexperience (okay maybe a lot!) that caused several of my first tree peonies to fail. However Solaris Farms sends huge, beautiful roots, well adapted and ready to take root in your garden. I can't say enough good things about the tree peonies I've purchased from them. Now I can't wait to see what's next!